Are you planning a road trip in Iceland? You came to the right place. In this guide, we’ll take you through all you need to know about driving in Iceland, including renting a car, driving basics, safety, and many more tips. We even have a video to get you more excited about your upcoming trip! Before we start, let us assure you that Iceland really is a great place for a road trip and if you enjoy this kind of traveling, you’ll have a blast driving the scenic roads of the country, where you’ll find countless amazing places to see. That’s guaranteed. Driving in Iceland is generally quite straightforward and trouble-free despite the conditions usually being different than most visitors are used to. The main attractions and roads are easily doable during the Summer months and only if you venture further or during the Winter will things start to become more difficult. Nonetheless, it’s important to be ready for the Icelandic roads! When planning your trip, don’t forget to read our ultimate guide for a road trip in Iceland, a great resource for all things Iceland. Renting a car needs not to be complicated, however, there are a few things you need to keep in mind before doing so. The main requirements are: you must be 20 or over (some companies charge an extra fee if you’re under 25), a valid driver’s license, passport, and a credit card. Iceland has a huge car rental market and there are many companies to choose from, including all the international ones but also many local ones which tend to have a better reputation and prices. Ultimately, we prioritize comfort and safety when driving in Iceland. To help you better understand which car to choose, read the “driving and roads” section below. The first thing you’ll notice when searching for a car is that the average price of a rental in Iceland is higher than in other countries, especially during the Summer months when prices almost double. To give you a better idea, we have a couple of examples based on a week’s rental. 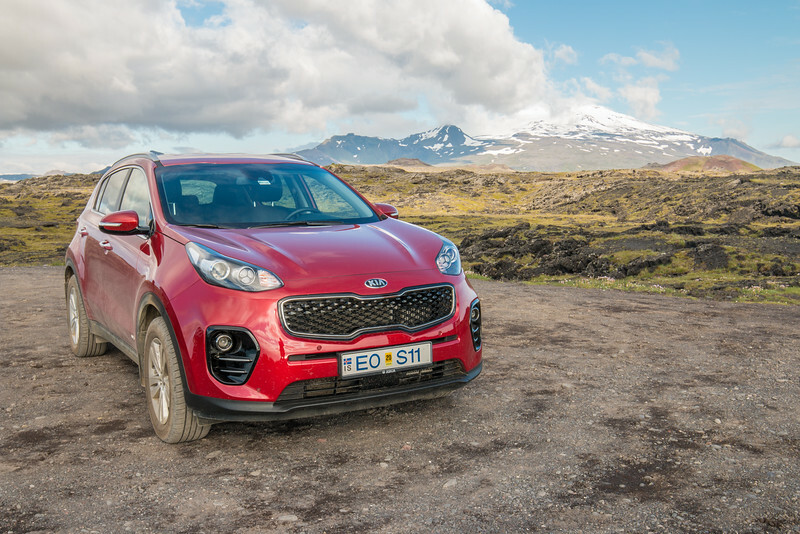 As you can see, a 4WD is considerably more expensive and this includes most SUVs, which are very popular in Iceland. These prices include full insurance with SCDW which is not always the case. Don’t forget to check if the quotes you get include the insurance you need. Read more about it below. 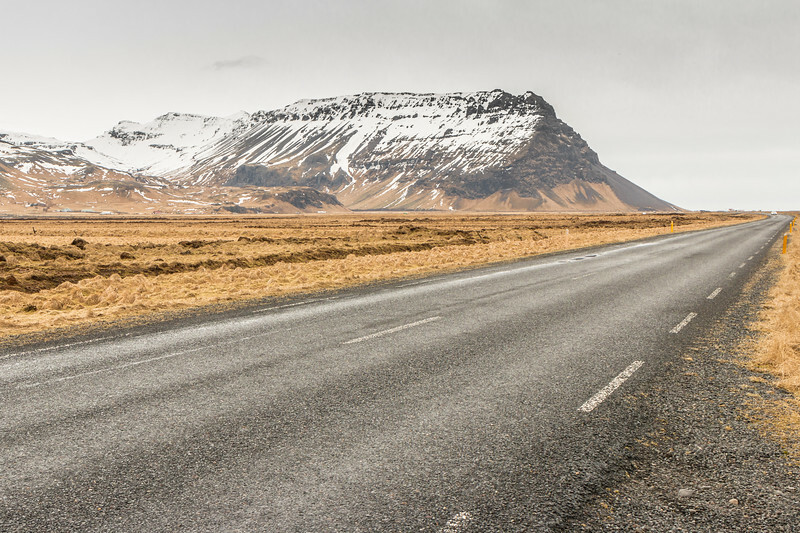 Driving in Iceland is easier when you understand the types of insurance and what you’re covered for. The basic insurance (CDW) is always included whilst only some companies include the extra SCDW as standard. It’s usually a good idea to opt for the SCDW since it reduces the excess in case of an accident and can add extra covers. Gravel (GP) and theft protection (TP) are also available and in many cases as part of the basic or extra insurance. Check whether that’s the case. 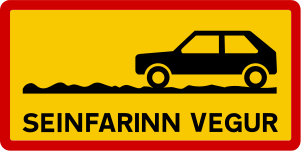 Gravel protection is important in Iceland due to the number of gravel roads but theft is not exactly a reason for concern. Sand and Ash Protection (SAAP) is an optional coverage that protects the paint and windows of the car from ash and sandstorms. To be on the safe side, check the conditions before driving. Some areas in the south are known to be prone to these. TIP: Driving over rivers is almost certainly not covered by insurance. We’ve been to Iceland a few times and always used Blue Car Rental. They are a local car rental company that has grown over the last few years to be one of the most trusted companies in Iceland. They have a wide range of vehicles suitable for all kinds of trips at very competitive prices and include SCDW in all rentals. Make sure to check them out when planning your trip to Iceland. Do you want a 5% discount on your rental? Book with Blue Car now and use the code #BREATHBLUE at checkout. In Iceland, you drive on the right side of the road and overtake using the left. Speed limits, unless otherwise signaled, are 50 km/h in urban areas, 80 km/h on gravel roads, and 90 km/h on paved roads. In urban areas, the limits can and will be lower than the regular limit, ranging between 30-50 km/h. You must drive with the car headlights always on. Roads in Iceland are of very good quality but even the highways are not large and, with a few exceptions around Reykjavík, consist of two lanes with no separation between them. The most famous road is route 1, a highway that goes around the country for some 1300 km and is kept open year-round with occasional closures. A thing most people don’t realize is that Iceland also has a vast network of gravel roads, including some stretches of the main roads but predominantly secondary and mountain roads. The quality of the gravel roads varies considerably, from some very good ones where you can drive comfortably, others with potholes (sometimes a lot! 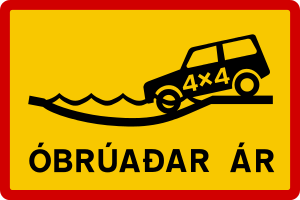 ), to fully fledged mountain roads that are only suitable for 4×4 vehicles. Loose gravel is dangerous, therefore drive accordingly. The roads in the highlands are classified as F-roads and are for 4×4 vehicles only, including some that are much rougher and require specially modified 4x4s. These are mountain roads that are not for inexperienced drivers as they are technical, very narrow and with rivers to cross. An example of an F-road is the F249 to Þórsmörk. F-roads are only open during the summer months, usually between late June and early September. Check road closures before attempting any travel into the highlands. 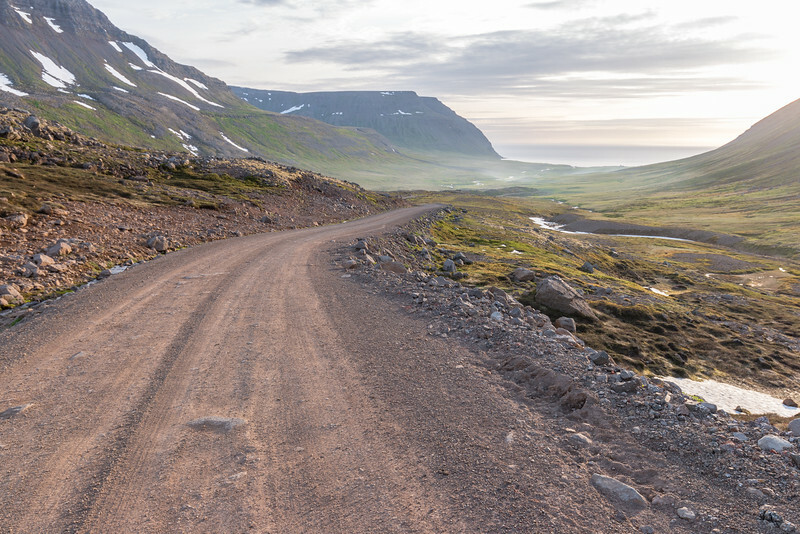 Tackling the mountain roads is one of the best experiences about driving in Iceland. Do not attempt to drive an F-road if you don’t have the experience nor the vehicle. When in doubt, join a tour. 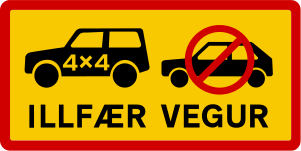 Rental cars other than 4×4 are not allowed to drive on F-roads and other rough gravel roads. Insurance won’t cover any damage, so only use cars that are allowed and double check with your rental company. Driving off-road is illegal by law and considered a very serious offense, so please don’t do it. This is due to the fragile nature of the Icelandic environment. Use the available tracks when driving in the highlands or other areas where there are no roads. 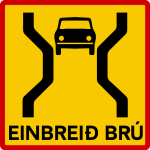 One important characteristic of the Icelandic road system is that most bridges have a single lane, with the longer ones providing space to let incoming cars pass. Animals, especially sheep, are frequently seen crossing roads around the country. Be careful and slow down when you see them. TIP: Icelandic roads have numbers but also names, of which some locals are more familiar with. For example, F26 is known as Sprengisandsleið. 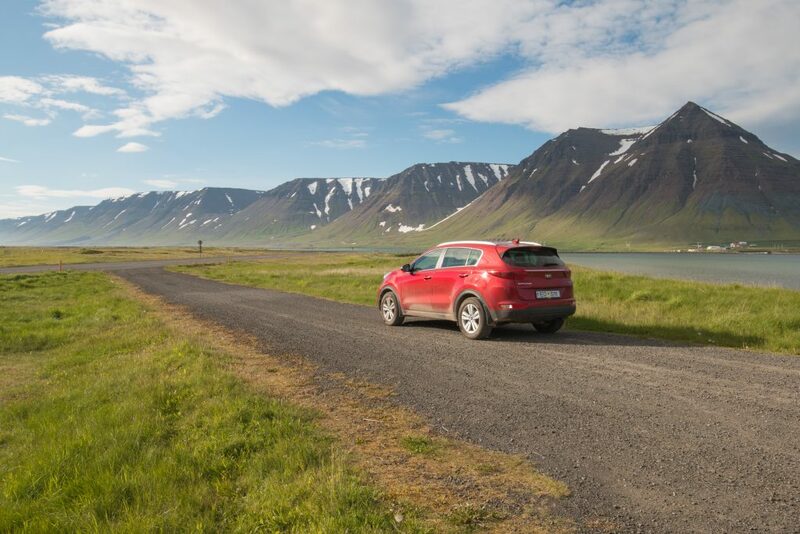 We mentioned earlier that the Summer months are the easier ones when it comes to driving in Iceland, with conditions being more favorable for all kinds of cars. Note that even during this time of year, it rains frequently and the conditions can change rapidly. Winter brings more difficult driving conditions, with plenty of permanent and temporary road closures, snow, icy roads, strong winds, among others. A lot of care is necessary, particularly for those without winter driving experience. 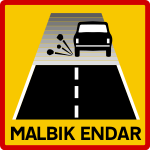 Pay special attention to road signs and don’t drive in difficult conditions. During the winter months, small cars may not be able to reach many places and an AWD or 4×4 is highly recommended, as they are heavier and usually more stable. Also, the cars should be equipped with studded tires for added security. If you must, it is possible to use a smaller 2WD but make sure you have appropriate tires and drive carefully. TIP: Check road and weather conditions before you travel. Road.is has all the information about the roads including up to date road conditions and closures. For the weather, head over to Vedur.is, the most accurate forecast. 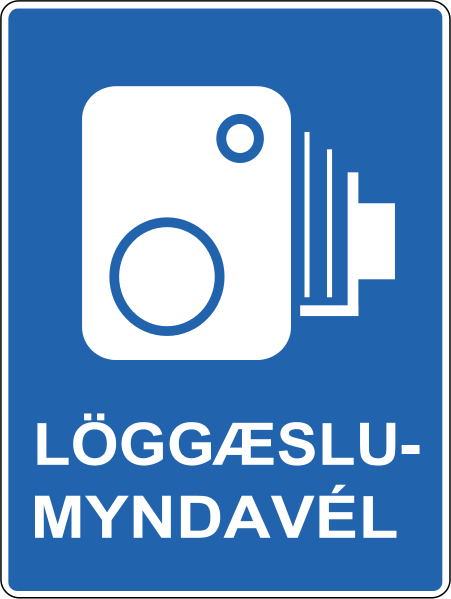 The traffic signs in Iceland are mostly standard and the main ones are easily recognizable, yet with one distinctive thing about them which is the yellow background. There is only one toll road in Iceland, the Hvalfjörður tunnel, which costs 1000 ISK to pass through. 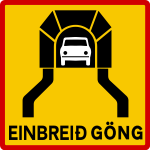 This tunnel is part of route 1 just north of Reykjavík and shortens the trip to the west and northern parts of the country. 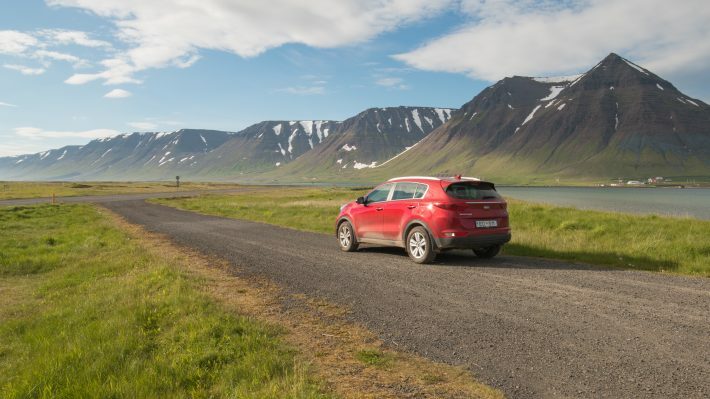 You can bring your car to Iceland on the ferry that connects Denmark and the Faroe Islands to the eastern part of the country in Seyðisfjörður. Iceland is very easy to navigate as there are not that many roads and, usually, everything is well marked and signaled. GPS is useful but not mandatory and you’re better off having a map by your side. Most rental companies include a map of the country. For general navigation and highlights around the country, we recommend the map from International Photographer. TIP: When calculating driving times, don’t trust Google Maps that much since it tends to be very optimistic. As a general rule of thumb, for every 150 km add 30-45 mins. Gas stations are available throughout Iceland, mostly in the urban areas and the main roads but also in the rest of the country, where everything is more remote and, sometimes, they can be more than 100 km apart. There are no gas stations in the highlands. To be on the safe side, we recommend you to pay attention, plan ahead and fill the tank once it reaches half or before going to more remote locations. Like most countries, fuel in Iceland is available in two types, gasoline (unleaded) and diesel, and the car will usually have a sticker clearly stating which one to use. Make sure you’re using the correct one. Gas stations can be manned or self-service, and virtually everyone pays with a credit or debit card. One important thing to keep in mind is that to use your card at a self-service station you need a pin code or you won’t be able to get anything. If the station is manned, you should be able to pay without a pin code or in cash. TIP: When using a self-service pump you can pick a maximum amount or just to fill up the tank. Always pick a value even if higher than what you need otherwise the amount of money that is reserved on your card is far higher than what you actually need. As an alternative, pre-paid fuel cards are also available but with the disadvantage of being from a specific brand. Parking is straightforward while driving in Iceland and only the central area of Reykjavík is a bit busier and with pay and display, although still relatively easy to find a spot. All the major natural attractions have decent parking and some are in the process of upgrading and expanding their facilities. The only exception is Thingvellir National Park that now charges a visitor fee which includes parking. Iceland is a stunning country and you’ll want to be stopping all the time. Whatever you do, please do not park in crazy and dangerous places. See our safety section for more information. Iceland is a very safe country by all standards, even when it comes to driving, but with the growth of tourism, risky behavior seems to be on the rise. Here are a few simple rules that you should observe while driving in Iceland to keep you out of trouble. First, the weather forecast! The weather can severely affect your travel plans, so check out for difficult road conditions and closures. Second, don’t speed! The driving conditions may be different from what you’re used to, with narrow roads, no shoulders, and adverse weather conditions. Also, speed cameras tend to be where you least expect them and you can incur in heavy fines. Third, don’t park in stupid places! 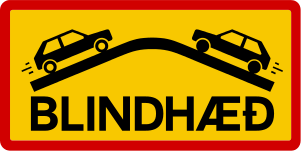 Examples include, after curves where other cars can’t see you, in the middle or partially on the side of the road (especially on route 1), on or before single-lane bridges, just to name a few. Use common sense and proper side road parking areas or places with enough space to pull over. For your own and other people’s safety don’t take unnecessary risks and we’re sure you’ll have a lovely time in Iceland. TIP: Call 112 if you have an emergency. While driving in Iceland it’s inevitable to get your car dirty and there’s no way around it. Something useful to know is that many gas stations offer free basic car washing facilities. Want to see what driving in Iceland looks like? Check out this video of us driving in some stunning locations around the country. Do you have questions about driving in Iceland? Let us know in the comments below. Special thanks to Blue Car Rental for helping us out every time we visit Iceland. They are genuinely a great and reliable company that we highly recommend. As usual, all opinions are our own and we would never vouch for them if they didn’t meet our standards. It looks fun riding along Iceland. I’m wondering if there’s an Inn nearby you could recommend if ever unexpected circumstances will come. Thanks for sharing anyway. Nearby where? If you’re going around the country using route 1 / ring road, there a few stops along the way. A bit scattered in some parts, so you need to plan ahead during the winter time. That’s a great tip about not tipping due to speed cameras. We just got a speeding ticket in the mail from something similar in France. Ouch! What a comprehensive guide. Interesting tip about the local car company. We found it MUCH cheaper to go local in Slovenia for example. Was that the case in Iceland too? In most cases yes. And there are plenty of local companies there providing good service – it’s a big and busy market, especially in the summer. We also used a local one in Slovenia/Croatia. Wow, I loved watching that video of your drive around Iceland, it looks absolutely magical. Thanks for the tip on Blue Car Rental, will keep them in mind when we finally visit Iceland. I absolutely loved my time driving in Iceland, there is no better country for a road trip. It looks like it’s worth paying extra to rent a 4×4 as there’s plenty of off road driving to experience in Iceland. Those road signs are pretty confusing and it’s good to know what they mean. You could put them into a handy infographic for travellers. Yes, you’re right. And also, 4×4 tend to be more comfortable. Good idea about the infographic! I just went on a road trip in Iceland this summer and this really is a super helpful guide! There are definitely a few things to consider before hitting the road in Iceland, but once you’re all set, it’s an incredible experience! Great practical information about driving in Iceland. I’ve always wanted to do a road trip around the island, and would love to explore the F roads in a 4×4 (only in the summer though, of course!). Such an amazing landscape that begs to be explored! You’re right. Driving the F roads is great fun. We’ve done a few and already planning to go back and explore more! Wow! Definitely the most in depth post I’ve read on driving in Iceland – bookmarking for future. Unfortunately I actually don’t have a drivers license (sad, I know) but I love the flexibility when my family or friends rent a car! I took day tours in Iceland and renting would likely have been cheaper. Oh, that’s too bad. You need to get one ASAP. Yes, you’re right. Day tours in Iceland are a bit on the expensive side unless you’re by yourself. Great post. Lots of amazing info. I can’t wait to come to Iceland and fly my drone around. Those car prices seem awfully high. Are they in the Euro there or do they have there own money and if so gown does it compare to the American dollar. You’re right, it’s not cheap. They use the ISK (Icelandic Krona) which is very valuable and everything tends to be rather expensive there. It’s still WELL worth going and you’d have a great time with your drone. This is a really thorough guide and it comes at a perfect time as I’m starting to plan my trip to Iceland. I’ll be going during the winter months though. It’ll be interesting to see how the weather will affect driving. Let us know if you have any questions when planning your trip. Probably the most useful article I’ve found online! Thank you so much for all the info! Going to Iceland this Nov 8th-15th! Hi, I am planning a 9 days trip coming Feb and not sure whether should self drive or not as have not drive in winter before. Also don’t know where to stay ? Should stay at one place throughout 9 days or different place ? Can advise me what’s best for my 9 days stay in Iceland. Thanks. February is definitely winter time in Iceland but it’s hard to predict how good or bad it will be. My recommendation for those that have no winter driving skills is to take it slow and always check the weather and road conditions online (multiple times a day). This means that with 9 days in the winter you’re likely to do half of what you could do in the summer. My advice for any trip to Iceland is never to stay in one single place. The country doesn’t suit that kind of traveling. For a 9-day winter trip, my suggestions is to spend a couple of days exploring the Snaefellnes peninsula and the rest heading (slowly) and back to Jokulsarlon.